except with humility and reverence. in supplication of the Lord who is God of the universe! but in purity of heart and in tears of compunction. by an inspiration of divine grace. and when the Superior gives the signal let all rise together. There are countless books written on prayer. How to pray? When to pray? Why to pray? Who to pray for? Nearly 1500 years ago the monk “Benedict “gave us a short paragraph that shed light on these questions. Let’s us look at his suggestions to his fellow monks, and I dare say, to us. First, we are humble in our approach to people we wish to help us. We seldom get help when we are very haughty towards those who could easily help us. Benedict notes that when we approach persons of high station (money and power,) we do it with reverence and humility. Simply stated, our wants are wrapped with respect and deference. We do not approach people preaching at them about what they owe to others because they as so blessed by God. Second, he reminds us that we owe abundantly more respect and deference to God when we approach Him. Let’s not go to God quoting the “ask and receive” verses that we find so handy when we need something. We tend to use these verses to force the hand of God. He will not be forced. Third, many words will not impress God, especially when they are uttered publicly so as to impress those around you who hear them. Such words ring hollow in the ear of God. Fourth, prayer should have purity of heart and emotion bearing repentance. When prayer bears these characteristics, it is pure and worthy of the ear of God. Benedict suggests that prayers ought to be short and pure. 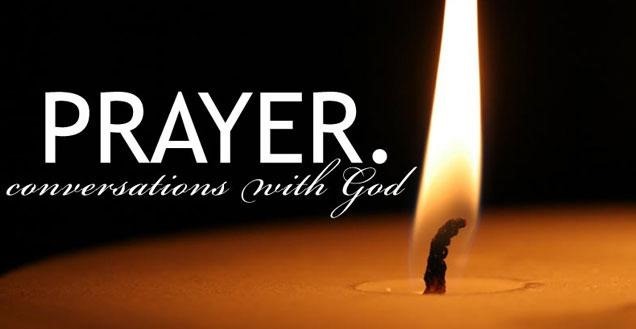 God calls for prayers that are reverent and non-attention getting. Lord, remind me that you deserve my reverence and respect no matter how dire my present need may seem. Let me pray to you and learn to wait patiently for your answer. Relive me of the temptation to pray with many words to impress others and to wear you down. If we would approach men who are in power with humility and reverence, when we want to ask a favor, how much more must we beseech the Lord God of all things with all humility and pure devotion? Remember that it is not for many words, but for the purity of our heart and tears of remorse that we are heard. For this reason, prayers ought to be short and pure, unless they are lengthened by the inspiration of divine grace. At the community exercises, however, let the prayer always be short, and the sign having been given by the Abbot, let all rise together. The quote I use today is from the Rule of St. Benedict. This rulebook for the monastic life was written by Benedict around 530. Benedict created the rule at a time when the Roman Empire had collapsed in the West, and Europe was being overrun by barbarian tribes. Christianity in Europe appeared to be about finished. He gathered together some faithful men and women who wanted to preserve a remnant of the faith for the future. That scenario is eerily similar to our own day. Today’s Christians are out numbered and declining. 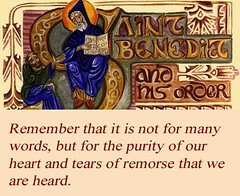 We would do well to look to the wisdom of Benedict the monk and his rule of life. Using his rule I offer a few hints about prayer. When we pray we should be aware of whom we are addressing. We would never presume to be demanding on someone who we respected and admired ,then how much more should we come to God with great humility. An attitude of humble prayer is not demanding or presumptuous. A humble prayer is prayed with the full awareness of who we are and who HE is. A humble prayer is reverent and respectful and presents itself in a spirit of devotion. A humble prayer is set forth in the form of a plea to a merciful God who loves us. Humility is a key factor is our prayer life. 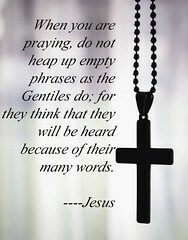 Jesus said, “ When you are praying, do not heap up empty phrases as the Gentiles do; for they think that they will be heard because of their many words.” Somewhere along the way we were given the impression that prayer must be fanciful or lengthy to be valid. This attitude has bred self righteousness in some and fear in others. Because of this attitude there are those who never want to pray and other who enjoy the platitudes that they receive for their “well said” prayers. We are urged to go to God with a pure heart and words that are real to us. God is not impressed by prayers that are prayed for the sake of an audience and not really to Him. Most of us have experienced showy and lengthy prayers at a church or a study. We then ask ourselves, was that for God or prayed to impress us? God cannot be goaded into answering prayer. Praying all night will not force God to answer your prayer. Benedict saw prayer as a normal part of your day. The monks prayed in the morning and then went about the work of the day. Later they assembled again for prayer and after went about their work. Prayer was not long and drawn out but a continuous part of their day. Lord, lead me to a life of humility. Help me to understand how and when to pray. Protect me from my ego and let me see your love. Give me the courage to praise you wherever I am and to know that you are there. And the Lord as he seeks the one who will do his work among the throng of people to whom he makes that appeal, says again: Which of you wants to live to the full; who loves long life and the enjoyment of prosperity? And, if when you hear this you say, I do, God says to you: If you desire true and everlasting life, keep your tongue from evil and your lips from deceit, turn away from evil and do good; seek peace and pursue it. And when you have done these things my eyes will be upon you and before you call upon my name I shall say to you: Behold, I am here. What could be more delightful, dearest brothers, than the voice of our Lord’s invitation to us? In his loving kindness he reveals to us the way of life. Today I share a few thoughts from The Rule of Benedict of Nursia, founder of the Benedictine monastery at Monte Cassino. Benedict’s main achievement is his “Rule of Saint Benedict” containing precepts for his monks. The Rule has a unique spirit of balance, moderation and reasonableness, and this persuaded most religious communities founded throughout the Middle Ages to adopt it. As a result, his Rule became one of the most influential religious rules in Western Christendom. For this reason, Benedict is often called the founder of western monasticism. Let me share a few thoughts from him about fullness of life. Who wants to live a full life? The answer is everyone. The problem with fullness of life is where does it originate? Some would say that the key is to be rich or well educated, others would say it comes from being physically fit and strong. Be honorable and truthful with your words. Benedict admonishes us to be attentive God’s to call in order to keep our tongues from evil. An evil tongue constantly stirs trouble and wishes ill will to others. The evil tongue never stops looking for the negative in the lives of others. The evil tongue can be very truthful, but it uses truth as a sword to destroy rather than an instrument to build up. Such a tongue is dishonorable. The second thought is to not be deceitful. In short, tell the truth and don’t make up tall tales to benefit yourself or bring down others. The truthful tongue builds you and all those you touch. Your words will outlive you and bless others. Doing good is the biggest challenge of our earthly existence. We are surrounded by schemes and schemers. The whole concept of Monasticism was to be free f rom the pressures of the world and grow closer to God. Good is first sought when we dedicate all that we have and that we are to God. John Wesley said, “Do all the good you can, by all the means you can, in all the ways you can, in all the places you can, at all the times you can, to all the people you can, as long as ever you can.” By putting Benedict and Wesley together we can broaden our hope for doing good in our lives. Doing good is a key element to any Christian journey, and I urge you to take some time to assess the good you do or can do. Benedict said to “seek peace and pursue it.” I would assert that a person who seeks peace will find it and spend a life of peaceful practice. The first challenge is to dedicate our lives to finding peace. The ultimate peace is a sound relationship with God. Through that relationship all problems can be faced and many solved to our good. Without God we are on our own and fending for ourselves in a world that is far too complicated for us ever control. As we practice the peace of God we find that our problems far less complicated, our victories are sweeter and burdens lighter. Jesus said, ”Take my yoke upon you, and learn from me, for I am gentle and lowly in heart, and you will find rest for your souls. For my yoke is easy, and my burden is light.” When we attach ourselves to the yoke of God we find His peace and that peace is one that we can practice with joy. May we seek the life that God has laid up for us and pursue it with all our being. 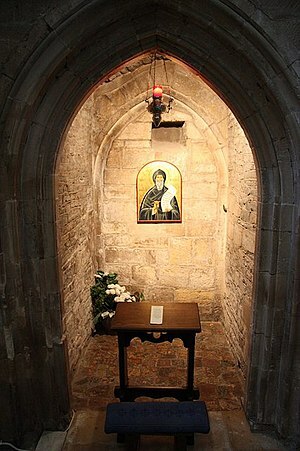 For over a fifteen hundred years monastics have practiced the discipline of silence. The monk knows that God is best heard in silence and community harmony is best maintained with an absence of excessive verbage. St Benedict understood that silence as an essential element of life. This is so that we can learn to listen to God more exclusively. God speaks to us in the Bible, but also in the depths of our heart and, as we begin to tune into him, we learn to be attentive to his presence in others. Thus harmony with God and man is achieved as we practice silence. Silence allows us to focus on God. When we withdraw into silence and spend this special time with God we equip ourselves to be joyful Missional people. It is a most excellent way to prepare ourselves for the opportunities God provides for us. The more we listen to God, the more capable we are of listening to each other. As we listen, we hear needs and cries from our friends and neighbors that have been lost in the noise of this world. If we are to be about the mission of God then we have to take time to become people of silence. 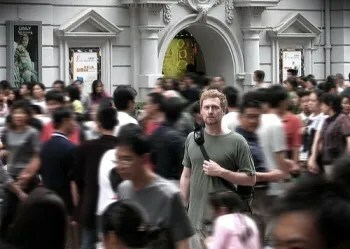 Each of us wants to be all we can be as disciples of Jesus Christ. Let me suggest that you carve out some time each day that you observe total intentional silence. If daily doesn’t work then do it weekly but DO IT. God will richly bless your efforts. I was directed to these 6 tips on Contemplative prayer by a fellow blogger. They were written by Carol Crumley who is Senior Program Director for Shalem Institute for Spiritual Formation. 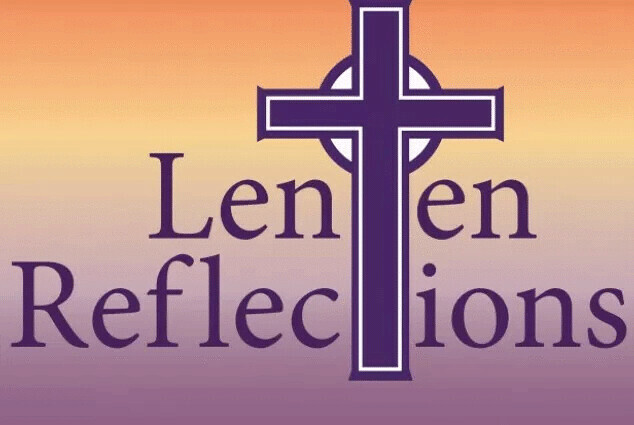 St. Benedict, a sixth century spiritual leader, advised his monks to “listen with the ear of the heart,” that is, to listen deeply, noticing the many ways God spoke to them in their daily activities as well as through scripture and worship. I share these tips with you.